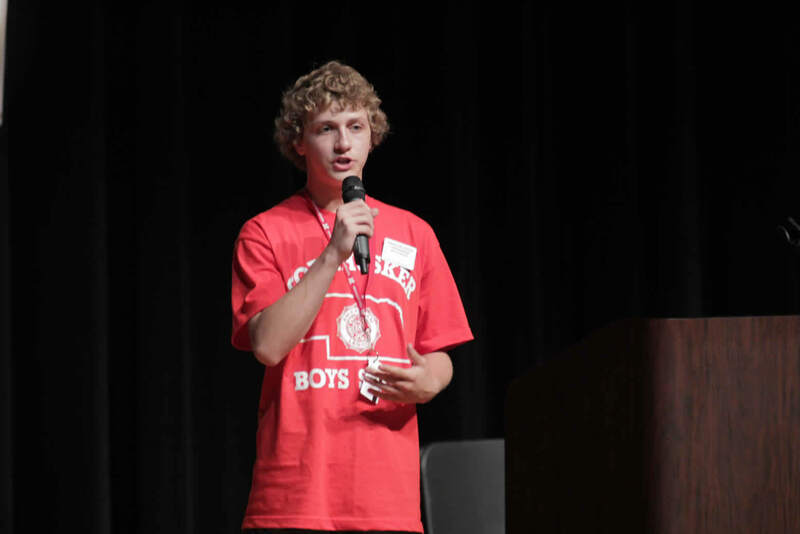 After the athletic intensity of the track meet followed by a quick stop for dinner, the delegates assembled in Kimball to hear presentations and to inaugurate their Justices and other elected officials. 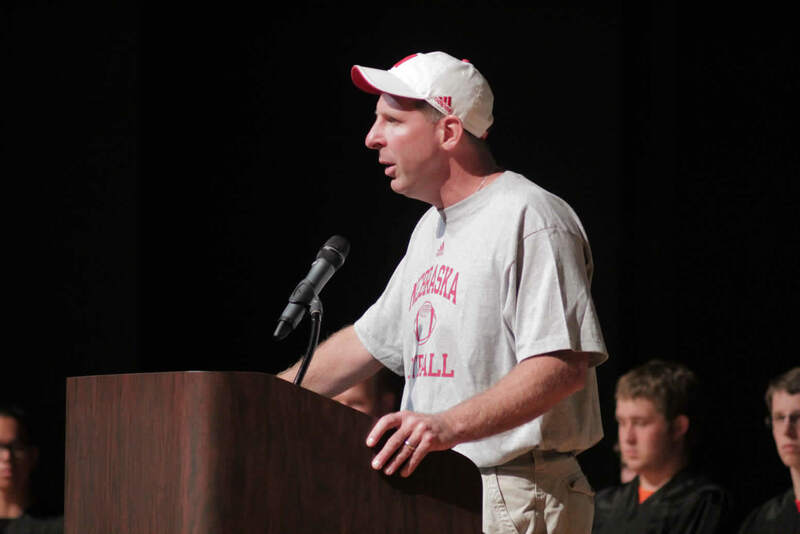 The delegates were privileged to an address by Cornhusker Football Head Coach Bo Pelini. Coach Pelini emphasized that competition is not about winning or losing, but about becoming the best possible person one can be. 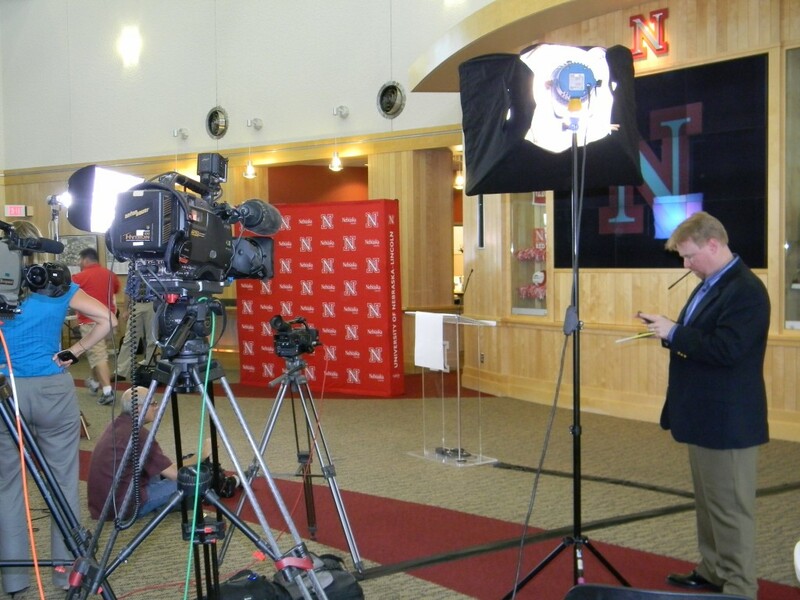 At the same time, Coach Pelini was clearly optimistic about the upcoming Husker Football season. Following Pelini’s presentation, the delegates heard from John Gerrard, Nebraska Supreme Court Justice; John Bruning, Nebraska Attorney General; and Mike Flood, Speaker of Nebraska Unicameral. These three prominent Nebraska government officials discussed their roles, upcoming elections, and answered delegates’ questions. 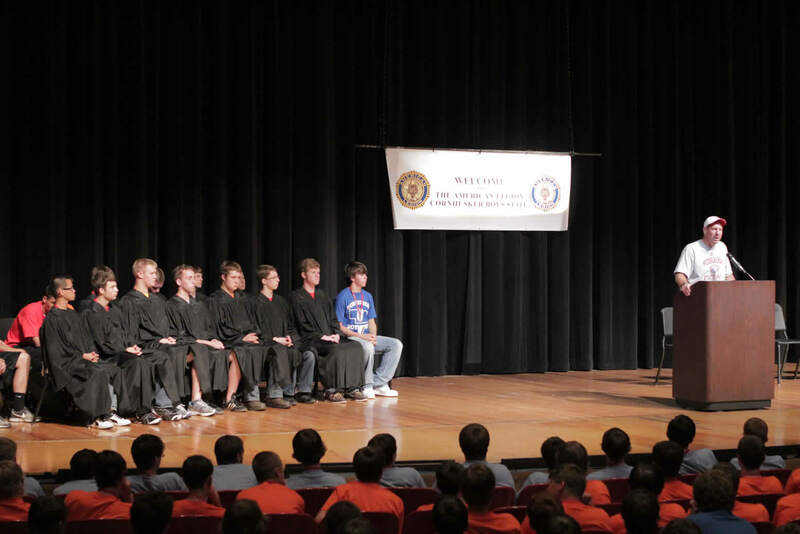 After this informative presentation, the 2011 Boys’ State Justices and elected officials were inaugurated by Honorable Mr. Gerrard. 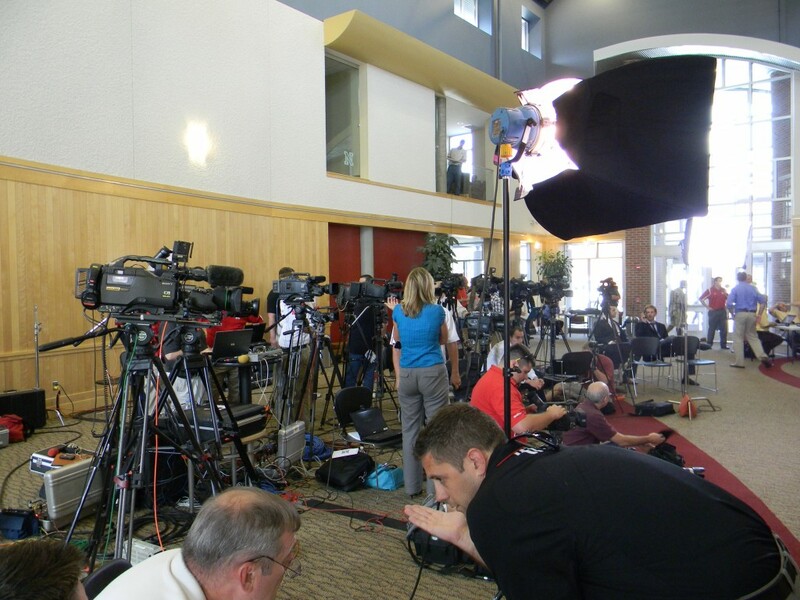 Before the assembly concluded, candidates and PACs had the opportunity to purchase some microphone time to advertise their cause, of which several delegates took advantage. 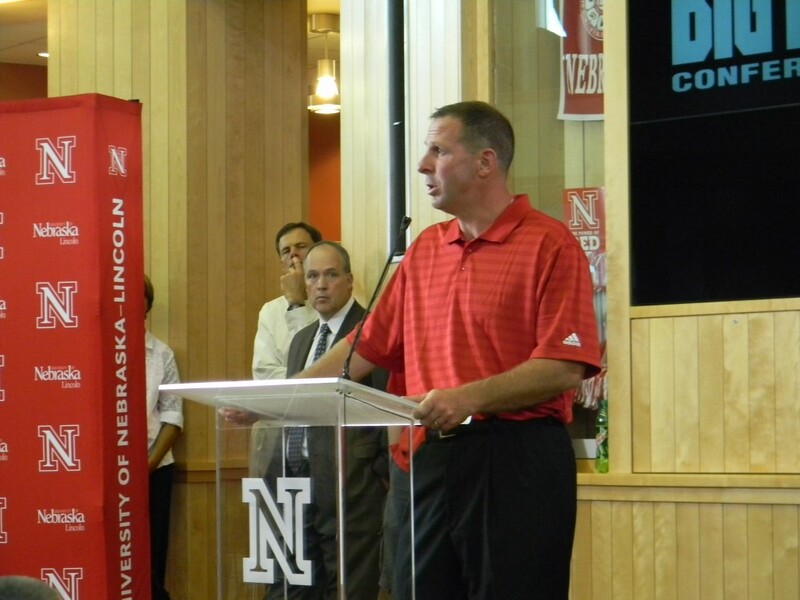 Coach Pelini Addresses the Delegates. The Justices and Officials-Elect Share the Stage with Coach Pelini. 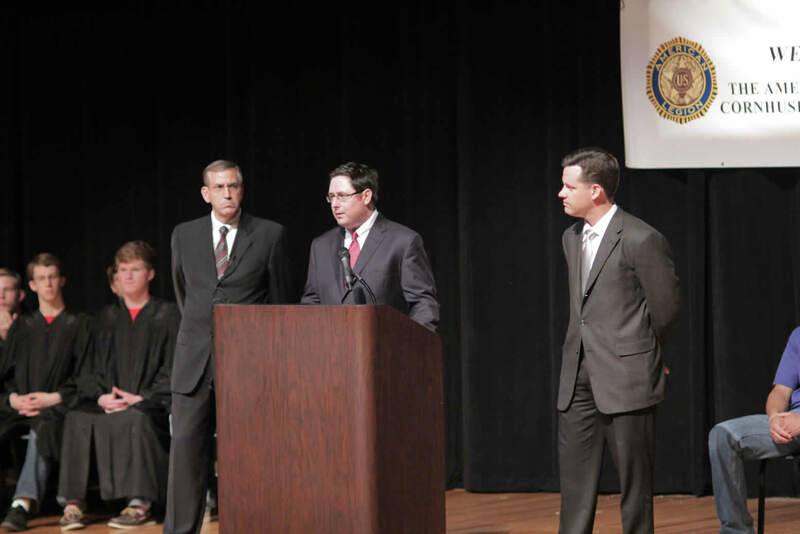 Justice John Gerrard, Speaker Mike Flood, and Attorney General John Bruning. 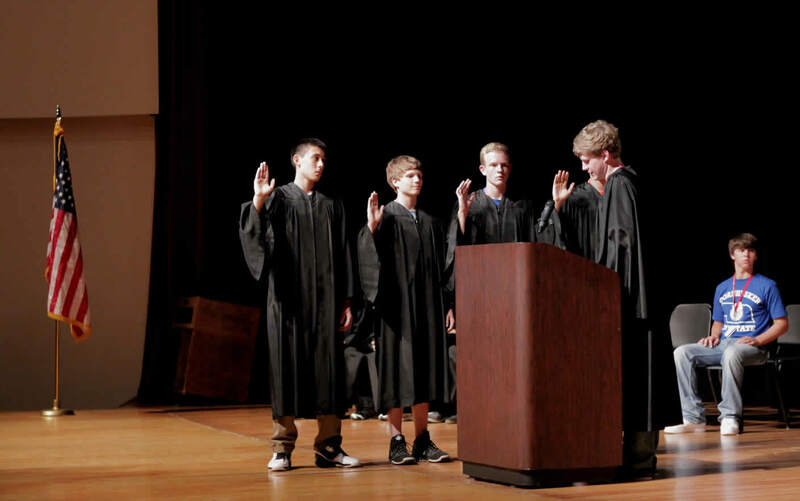 The 2011 Boys’ State Associate Justices are Sworn-in. A PAC Representative Grabs Some Advertising Time At the End of the Assembly. The official press release noted several academic and community benefits of being a part of the Big Ten Conference, which are copied below. 1. Big Ten universities attract 12% of all federal research funding annually. They grant 14.5% of all doctoral degrees conferred in the US each year and 25% of all agricultural doctorates each year. 2. 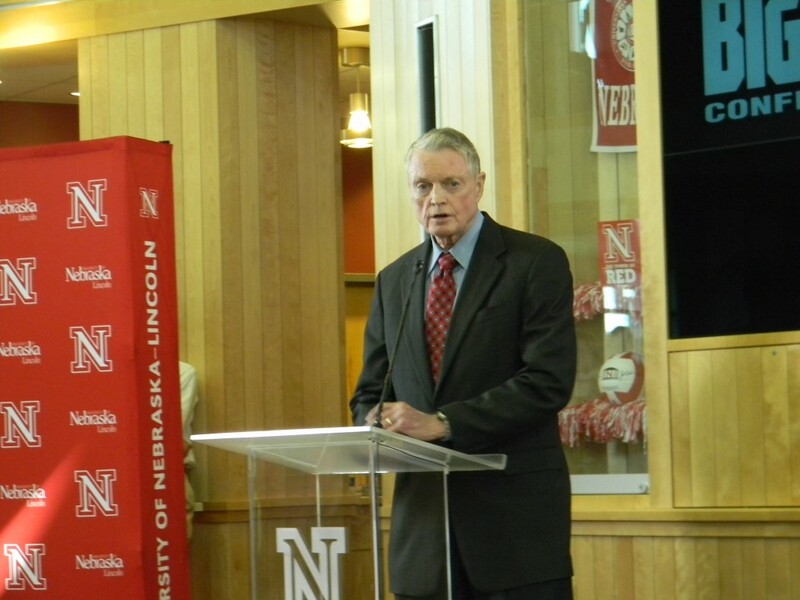 UNL would be considered for membership in the prestigious Committee on Institutional Cooperation, a consortium of the Big Ten universities plus the University of Chicago. The CIC leverages faculty, funding, facilities, investments, and ideas to help the collective whole compete and succeed. Among its core projects are library collections and access; technology collaborations to build capacity at reduced costs; leveraging purchasing and licensing through economies of scale; leadership and development programs for faculty and staff; course-sharing mechanisms by which student may take courses at other consortium institutions; and study-abroad collaborations. 3. The Big Ten is the only NCAA Division I conference whose members all belong to the Association of American Universities, as does Nebraska. 4. 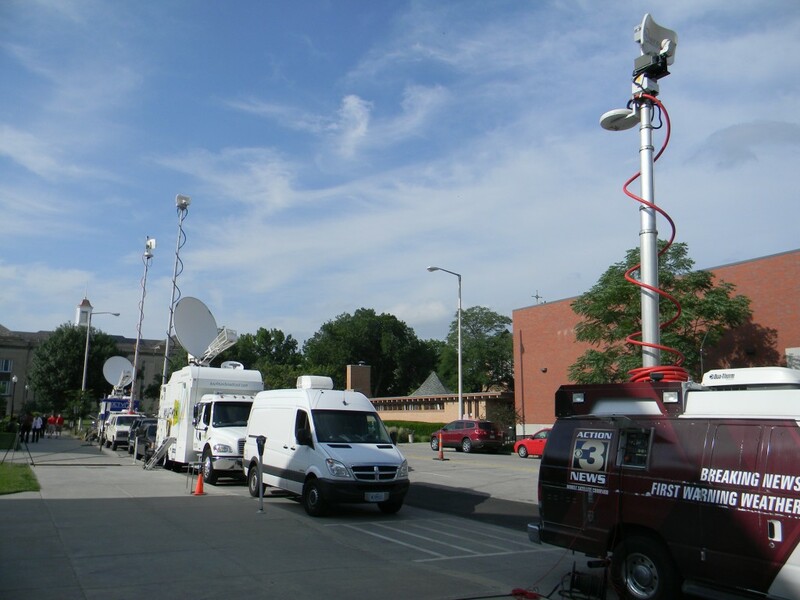 Of UNL’s 10 peer institutions (by which it compares itself), five are Big Ten members (University of Illinois, University of Iowa, University of Minnesota, Ohio State University, and Purdue University). 5. The ability to recruit faculty would be enhanced. 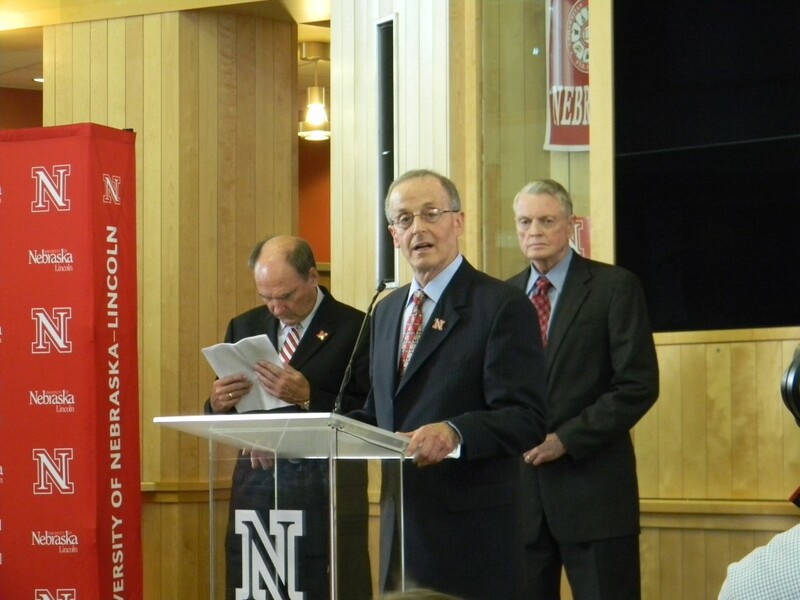 UNL already competes with Big Ten and other institutions to attract high-quality faculty; UNL would be able to offer access to CIC and other opportunities afforded by Big Ten affiliation. Similarly, new Ph.D.s and other graduates from Nebraska would find their opportunities widened through Big Ten collaborations. 6. Research collaborations with faculty at other institutions, already important and under way, would increase. 7. 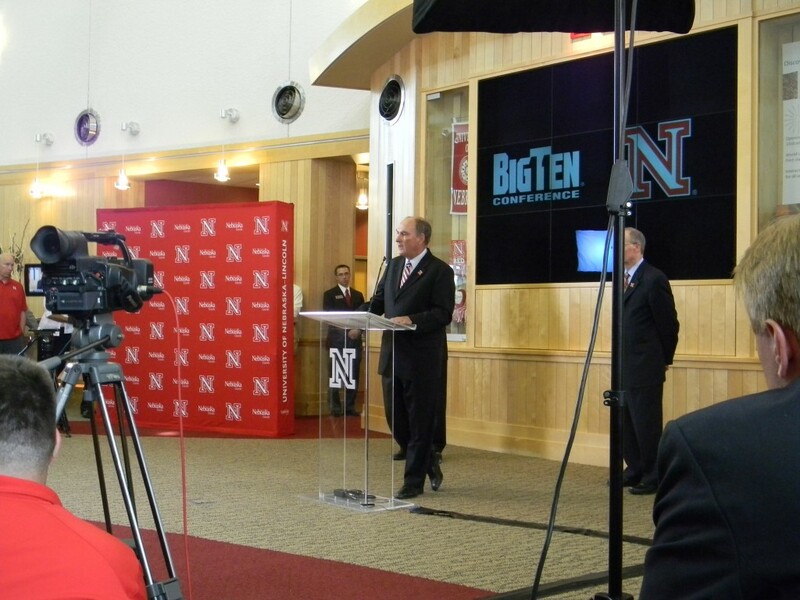 UNL’s alignment with the Big Ten will open doors to new investors, entrepreneurs, and others interested in expanding regional and national markets through opportunities presented by Nebraska Innovation Campus, Perlman said. According to Perlman: “The Big Ten is a historically prestigious and stable academic community of scholars and students…The Big Ten, known for its athletic prowess, is highly regarded in academe for its academic and research enterprises. There is nothing but upside for UNL to join the Big Ten.” Below are some photos of the delegates and staff at the conference.